“Look for any kind of internship opportunities… just to determine early-on whether or not it’s a right fit for you. There’s so many resources out there… definitely seek advice from mentors such as professors”. Katia Niño is a Fullerton College alumna that is a promising new scientist in the Biotech field. She is currently pursuing a BS degree in Biology and researching antibiotic resistance at Cal State Fullerton (CSUF). Katia did not begin at Fullerton College straight out of high school, unlike many of our featured spotlight students. In fact, she was accepted to UC Santa Barbara and attended classes there for a year before she decided that it was not the right fit for her. She chose instead to attend classes at Fullerton College in order to finish her general education classes. She believes that each Biology class she took throughout her education further instilled her passion for Biology within her, and fuelled her drive to pursue research opportunities. Despite the difficulty of many of the required Biology major classes, her passion for the subject allowed her to think of studying as less of a chore and more of a delightful challenge. Katia chose to attend the Essential Biotech Skills workshop at Fullerton College with Dr. Jo Wu, which, she says, “Opened the doors… to a possibility in research” because of the multitude of skills she was able to learn for her future career in the Biotech industry. These skills allowed her to be ahead of many other internship candidates, even those that start their college education at four-year universities! Katia has attended two undergraduate research internships- Project RAISE at CSUF, and most recently, the STARS program at UC San Diego. 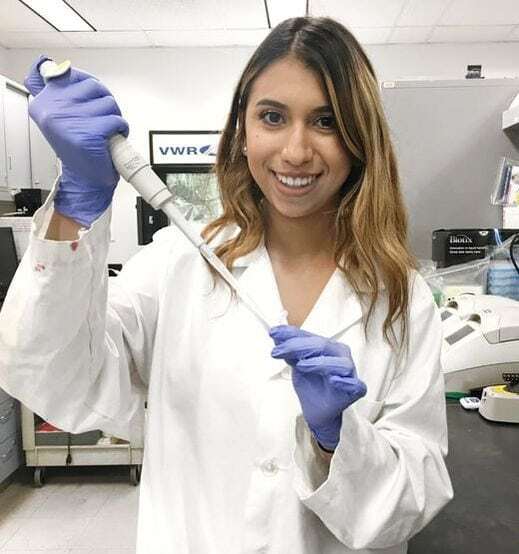 Katia’s advice to Fullerton College students seeking a career in the biotech industry is to “Look for any kind of internship opportunities… just to determine early-on whether or not it’s a right fit for you. There’s so many resources out there… definitely seek advice from mentors such as professors”.